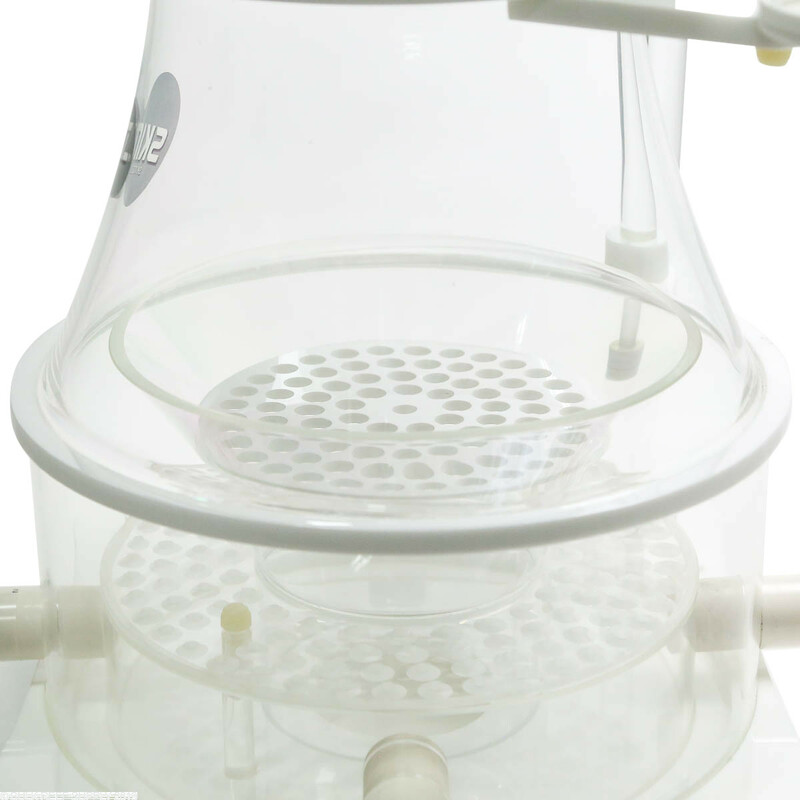 Footprint - 9.5" x 14.25"
When a protein skimmer is designed, two things need to be taken into account and work in unison, the pump and the skimmer body. 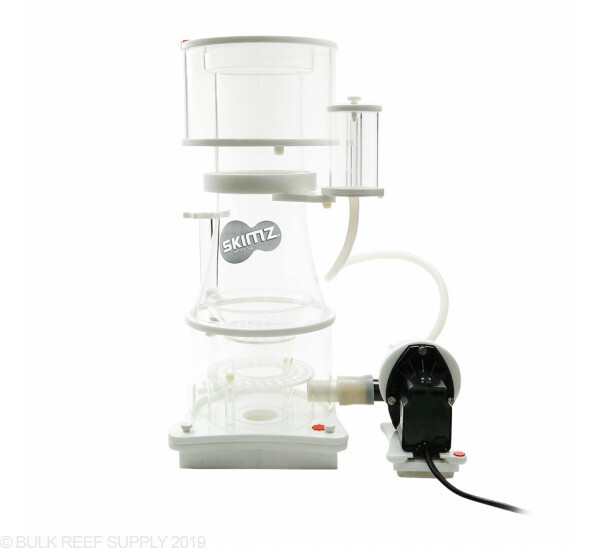 Skimz SL Series of skimmers pairs reliable and robust Askoll motor blocks with the super efficient Leopard Skimmer body. The venturi has a port for air intake into the pump and also provisions for an ozone connection as well. Quality acrylic construction with white highlights lets the skimmer become a piece of equipment that you won't be afraid to show off. 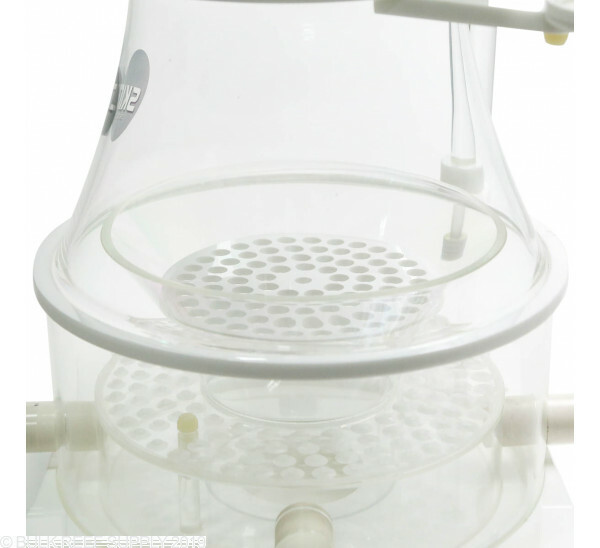 Leopard skimmers include an integrated inverted cone design that helps channel the fine air/water mixture to the outer sides of the reaction chamber, optimizing skimmer performance. 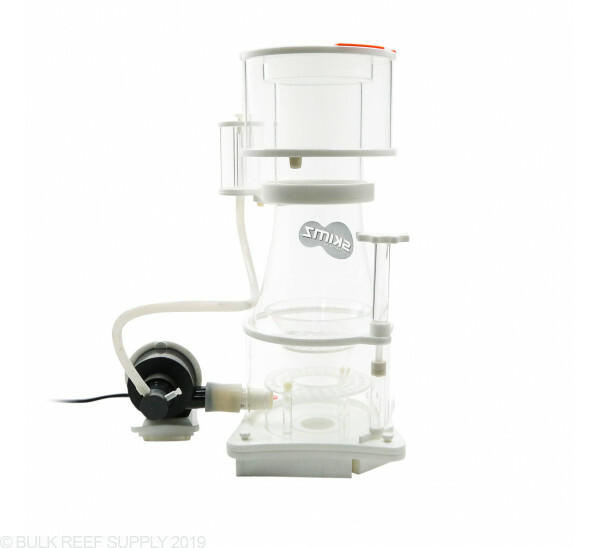 The channeling effect significantly reduces turbulence at the surface allowing bubbles to make it into the collection cup without breaking prematurely. 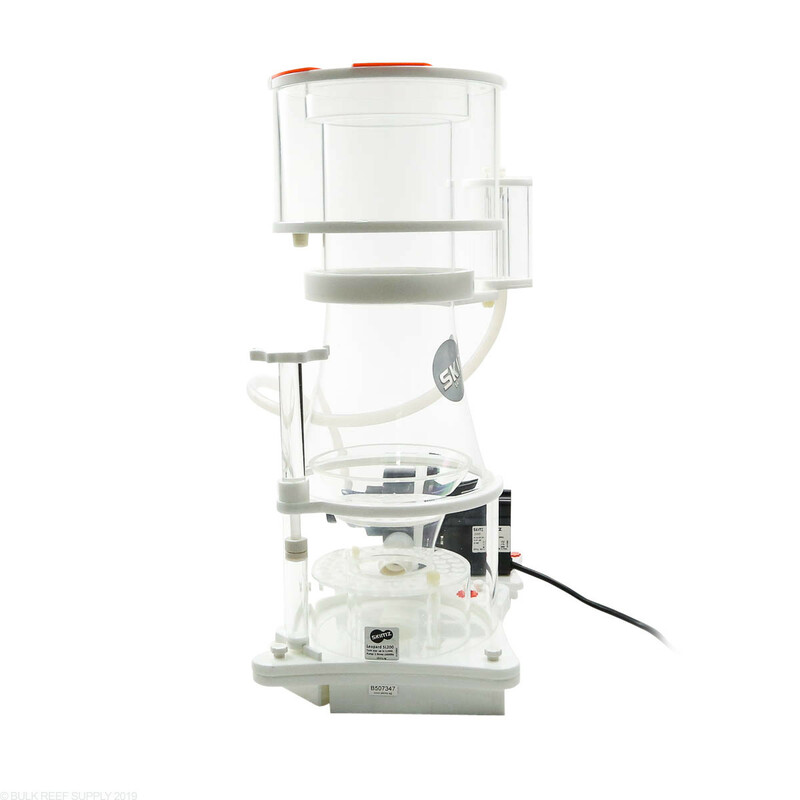 Over the years there have been many different skimmer designs on the market, and many of them have settled that the inverted cone design is by far the best. 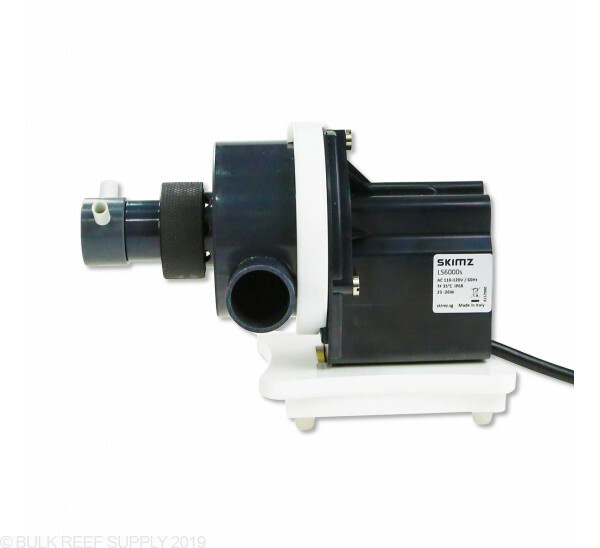 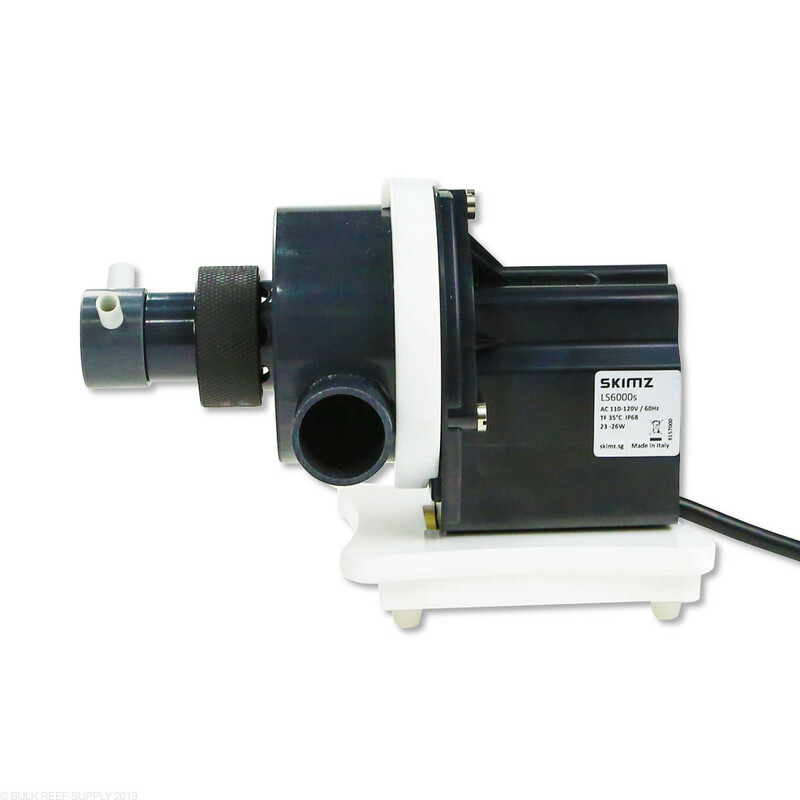 Skimmer pumps are not all created equal, and Askoll has been known as the top AC powered skimmer pump manufacturer in the world. Their pumps are used on some of the most expensive skimmers available on the market today, and Skimz has now incorporated them into their Leopard series of skimmers. 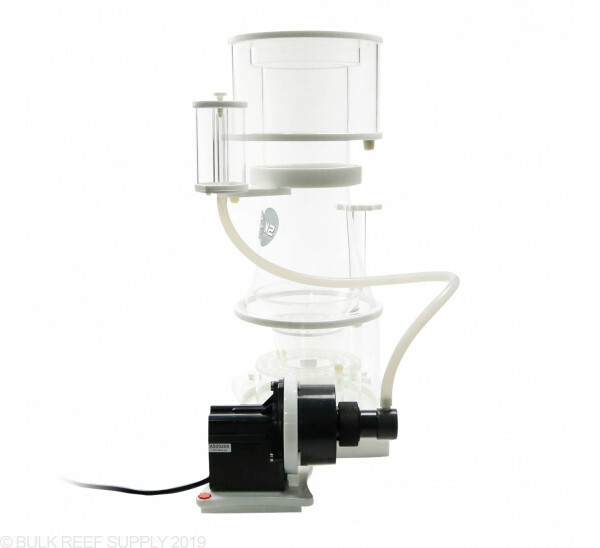 The fine bubbles the pump can produce are second to none and paired up with the Leopards bubble plate and inverted cone, Leopard Skimmers are going to take the hobby by storm!